Organisations, individuals and community groups rallying round to help the victims of the Manchester attack have raised £2m in 24 hours. 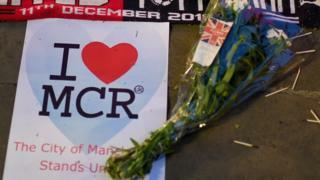 Fundraising started by the Manchester Evening News in the hours after the blast has led to £1.1m in donations. That money will be rolled into the British Red Cross "We Love Manchester Emergency Fund" to alleviate the suffering of victims and families. Manchester City midfielder Yaya Toure has also pledged £100,000. Actor Tom Hardy, 39, has raised nearly half of his £15,000 target. Tattooists in the city and around the world are offering tattoos of a bee, a symbol of the city, for a £50 donation towards the fund. How do you crowdfund for someone you've never met? Sam Barber designed the tattoo and 50 studios across the world, including as far away as Australia, have taken up the idea. 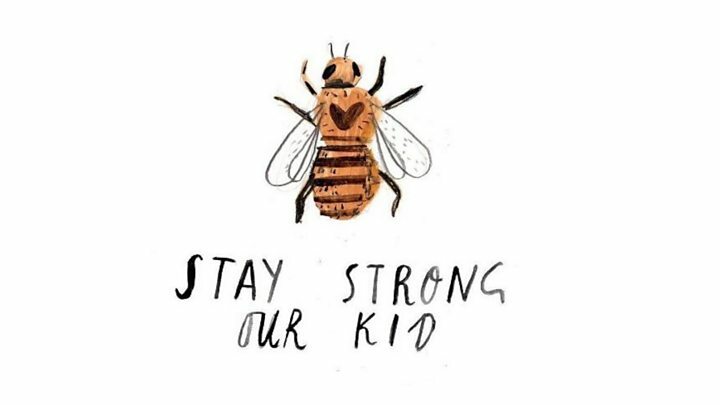 Ms Barber said: "Paramedics who attended the scene have even come forward saying they want the Manchester bee tattoo." The We Love Manchester fund has been organised by the British Red Cross with support from Manchester City Council. Mike Adamson, chief executive of the British Red Cross, said: "We have been moved by the compassionate response to this appeal for victims and their families. "People from communities across the UK and right around the world are showing their solidarity by donating. "The money raised will contribute to those affected by this terrible attack getting the help that they need today, tomorrow and into the future". The fund is in addition to smaller fundraising springing up across the city and beyond. A host of individual charity pages have sprung up on popular online fundraising sites, such as Go Fund Me and Just Giving, while community groups are also raising money for victims. One such community group - Muslims for Manchester - have so far raised nearly £15,000 of an £100,000 target. Comedian Russell Brand pledged the proceeds from his sold-out stand-up gig in Southport on Tuesday night, which was attended by 1,400 people. Another comedian, Al Murray, had a whip-round at his gig at Southend Cliffs Pavilion on Tuesday and pledged to match whatever amount it raised. Meanwhile, more than £30,000 has been raised for a homeless man who has been declared a hero after helping victims of the attack. Chris Parker, 33, had been begging in the arena foyer when the bomb went off and he cradled a dying woman in his arm. He then comforted a badly injured little girl, who he wrapped in "one of the merchandise T-shirts".